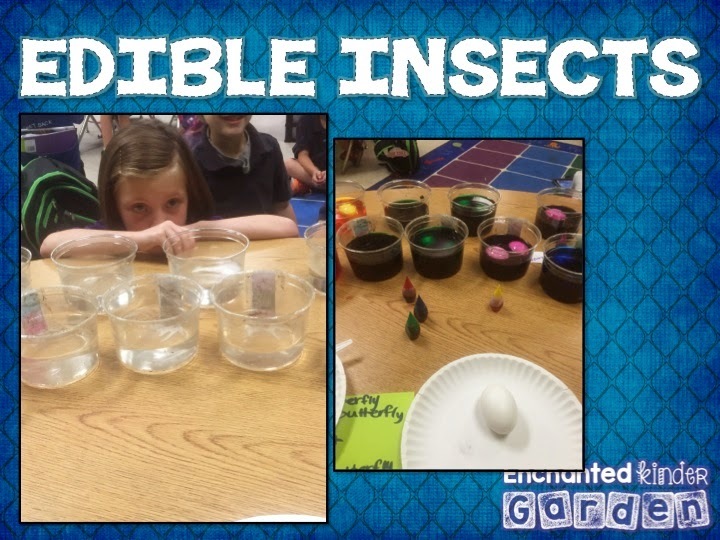 Easter, Field Trips, AND INSECTS… we even ATE SOME! The end of school is always so… DRAINING. That may not be the right word. Maybe it is. However, I’ve decided that these last SIX weeks of school will not overpower me. I will be a better teacher than I’ve been all year. I usually decide that school is pretty much over and I become very relaxed. I don’t plan as much. I don’t do as much. With that being said, I think I did exceptionally well the last two weeks. We had SO much going on. Easter. Easter egg hunt. A field trip. Insects. Report cards. AH. SO MUCH. So little time. 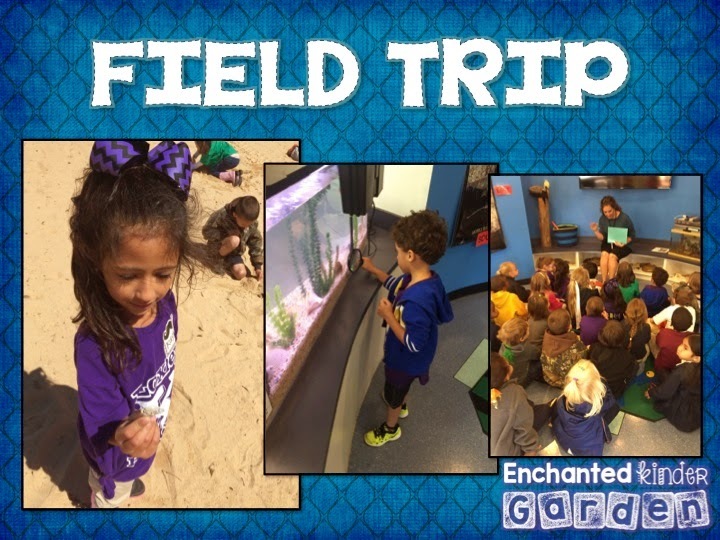 We went on a field trip down to the Bay. I love anything remotely related to the beach. They LOVED it. We froze that morning at the park though. At the Bay, we look for Pelican. Some of our awesome parents go out in the water and try to catch some creatures for us. We caught one crab and a ton of fish. I think we got some seaweed as well. When we got back to the center, they are able to look at what we caught under magnifying glasses and with scopes. SUCH fun being little scientists. During small group, I’ve been making their texts about our theme. I recently just started this. 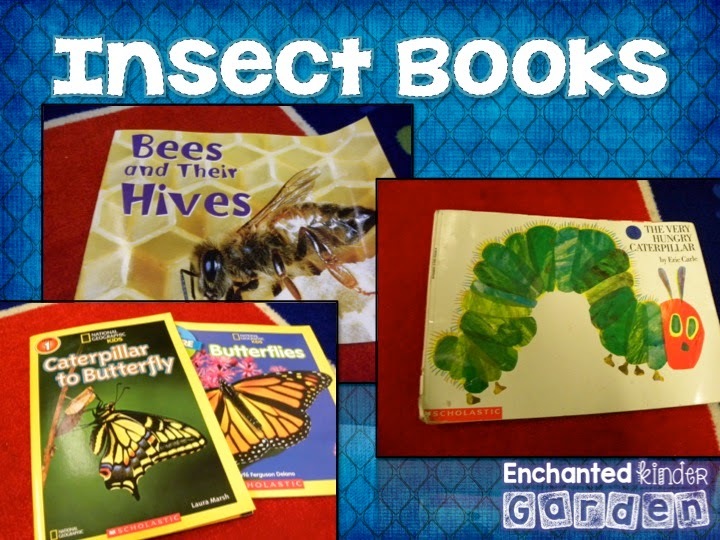 If you’d like to have an insect book, grab it below or pin for later. It will be a forever freebie. To copy the book, just have the first page up, then flip the next page upside down, next page up, next page upside down. When you make it front/back the words will copy correctly. 🙂 The last page has a Read and Respond with some very simple comprehension questions. I have my students to circle words in the question that may be needed in our answer. They also got REALLY good at going back in their story to check for some words. We didn’t answer these question until the second or third day of reading. It’s just another way to begin the very difficult transition to first grade. They’ll be doing way more responding next year. 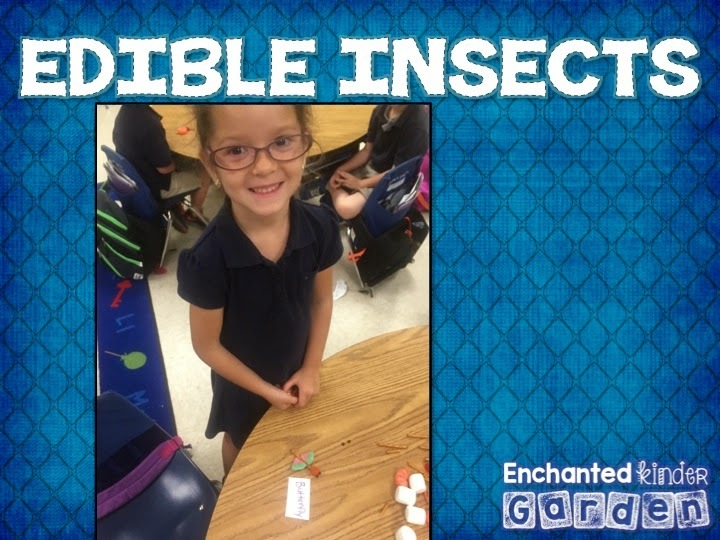 We started off with Caitlin Cabby from Kindergarten Smiles insect unit. I don’t do EVERYTHING that’s included in there. I just wanted strictly the insect material. She also has math and literacy centers to go along with this. We begun with a KWL (that I forgot to take a picture of) of insects. This was very interesting. They didn’t know spiders weren’t insects even though I can remember telling them this in October. 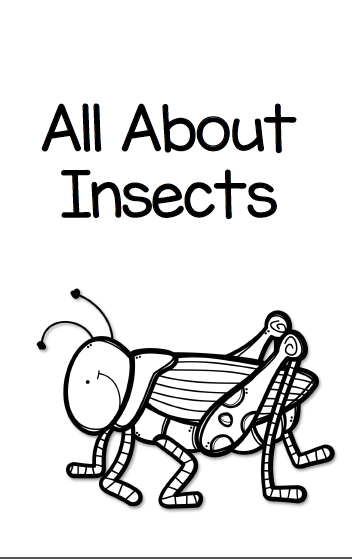 *sighs* We read a book describing the details of an insect. After, we sorted insects. They had their own sheets to sort after we finished our big one. 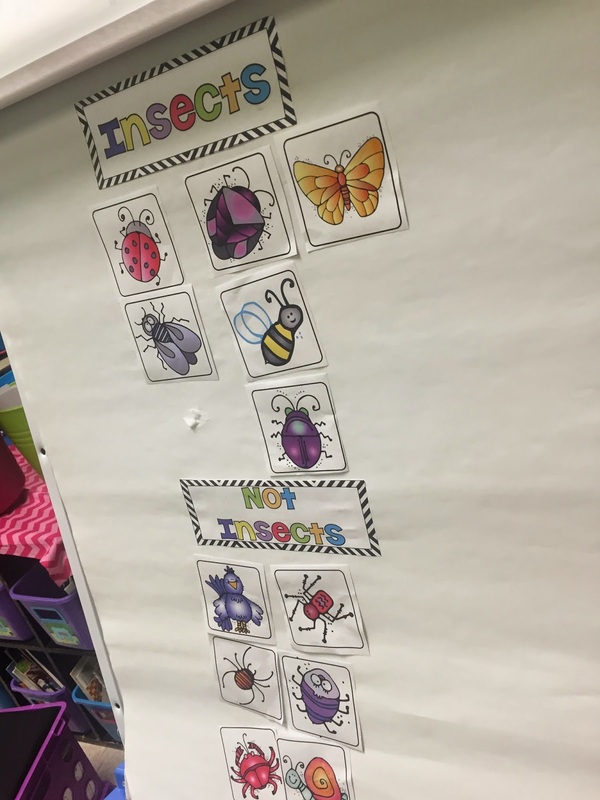 Our first insect up was Ants. They’re very easy. All my kids have seen ants. Done deal. We did this KWL of Ants. 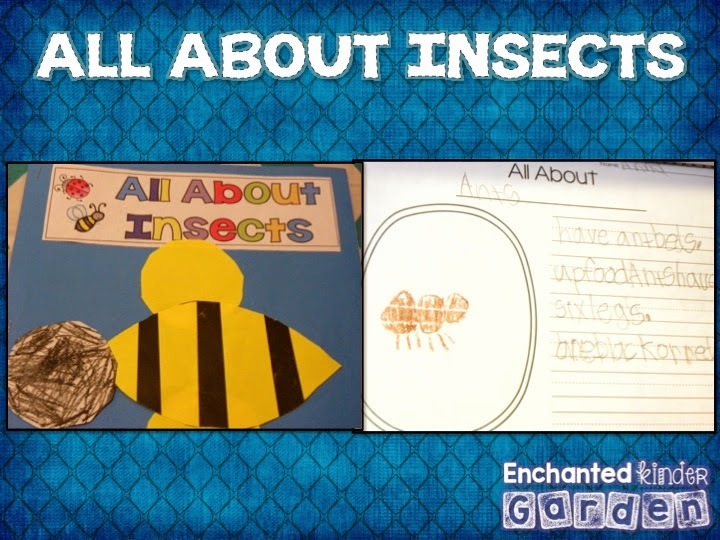 I usually show a video of whatever we’re learning about, but our week was VERY hectic and I rushed through ants. 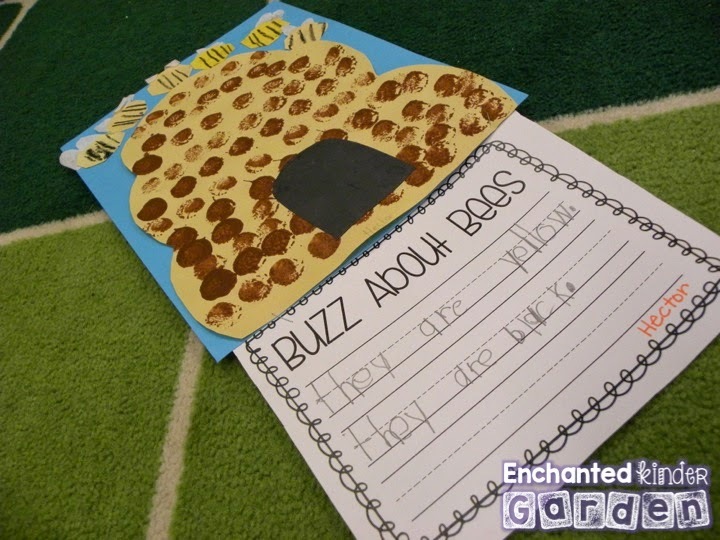 The next day, we worked on our All About Ants page. Of course, I forgot to take a picture of their books as well. Here’s one that didn’t get finished. She was out all last week and a few days of the week before with bronchitis. I love that all of their information that they’ve learned is collected in one place for them. There is a table of contents that we added to daily and then we stapled on a new All About sheet to write about our new learning. One of my favorite things about teaching thematically is pulling in themed books during my reading time and not having to read some book that has nothing to do with what our focus is. Here’s a few of my favorites that we read. I choose these four because they are SO interesting. 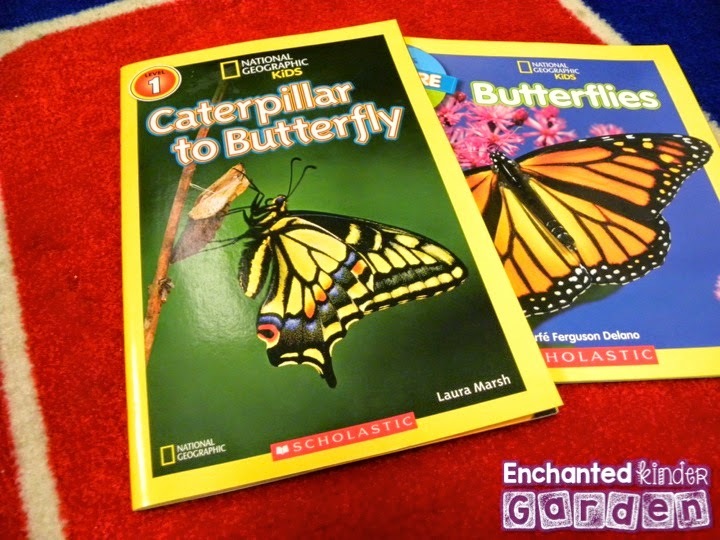 Note that I have 3 books about caterpillars/butterflies. We focused on this magnificent insect for two and a half days. Such fun! 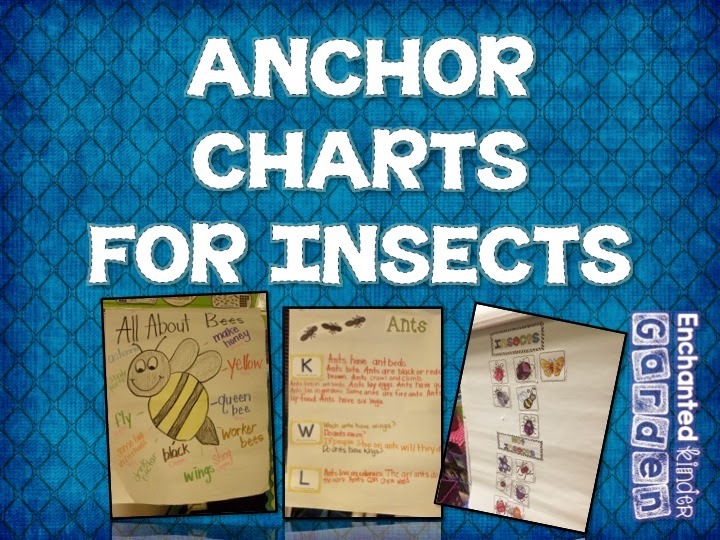 There is so much that you can discuss when it comes to caterpillars and butterflies. We watched a youtube video on a caterpillar turning into a butterfly. 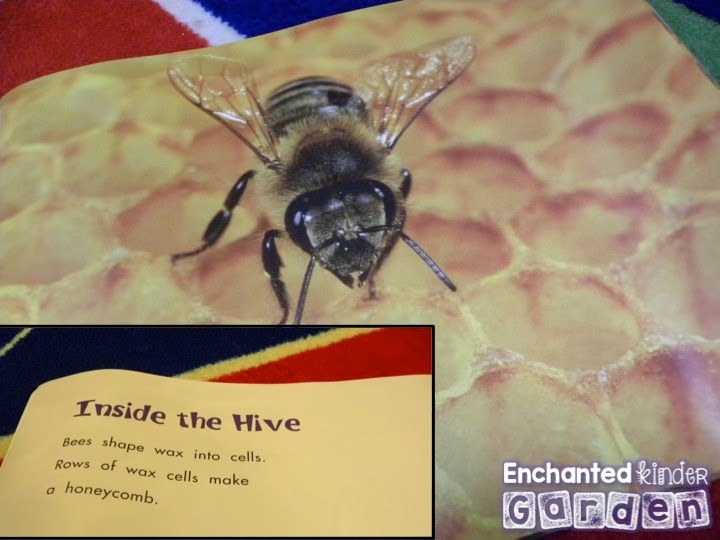 I love National Geographic books because of the detail in the photographs. These were favorites this week. I actually got this book from our book fair. I LOVED this one. I loved that the text wasn’t overwhelming on each page. 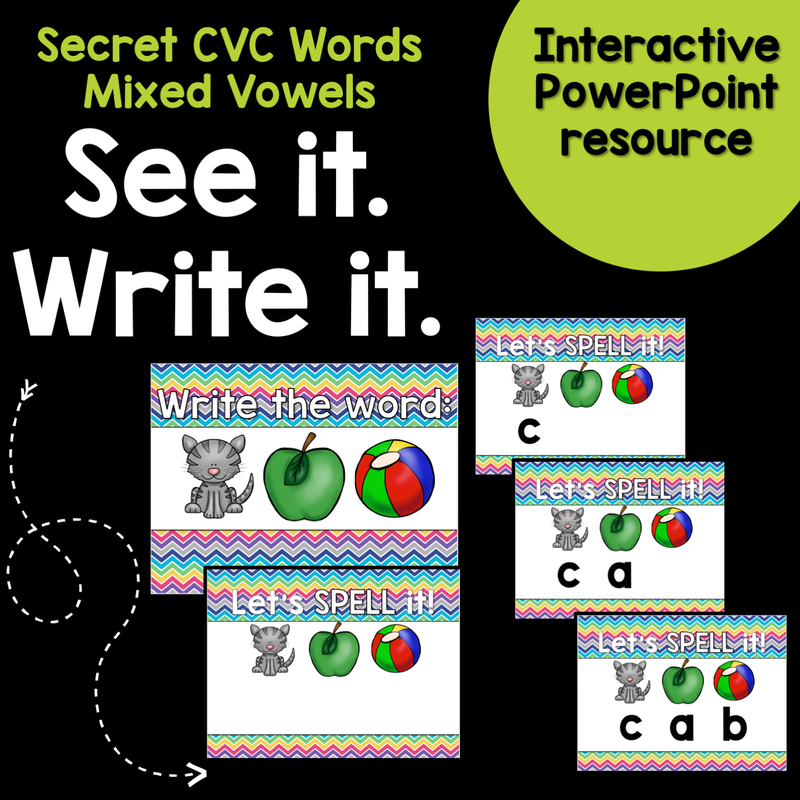 This is perfect for little learners. The photos are AMAZING as well. We got a few shrieks as I turned the pages. Some of my girls are TRUE girls and squeal at anything *interesting* to look at. I’ve provided links to each of the books if you click on the photographs. I’m sure everyone knows about The Very Hungry Caterpillar, so it isn’t linked. 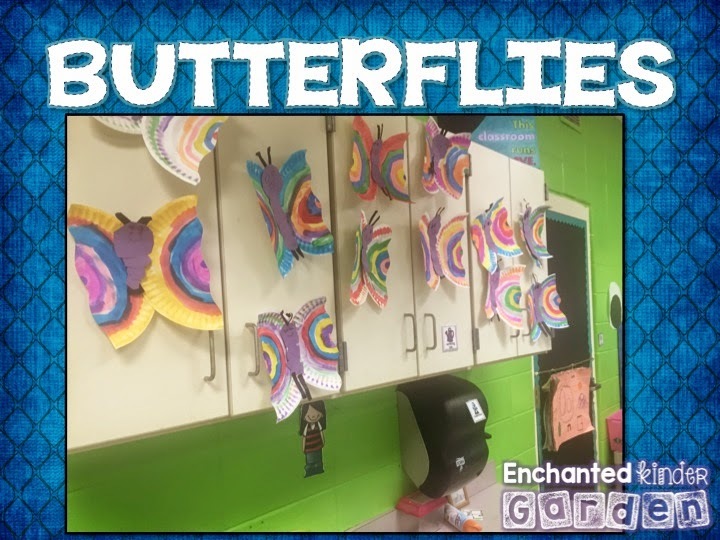 We also made paper plate butterflies. If you follow me on instagram (enchantedk), I posted this the other day. I love how they turned out. They made their own legs, antennas, and the body. I only cut the paper plate in half and stapled it. We used dot markers to make the colors on the plates by starting with a dot in the center and changing colors each time. They just went around the initial circle with a new color. Easy peasy. 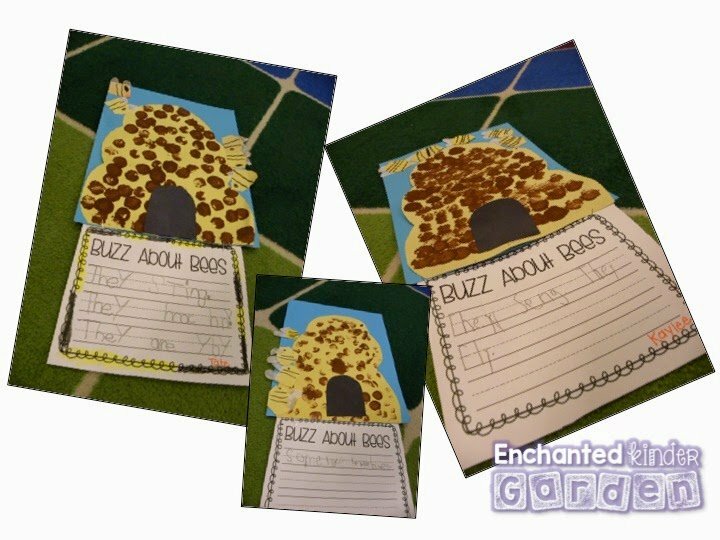 We quickly made these the day before our field trip. I love how CUTE they turned out. I can’t remember the blog I saw this idea on, but she had gotten it from Apples and ABC’s. To make the circles, I let them get a clothespin and pick up a pom pom. They dipped it in brown paint and went to town. 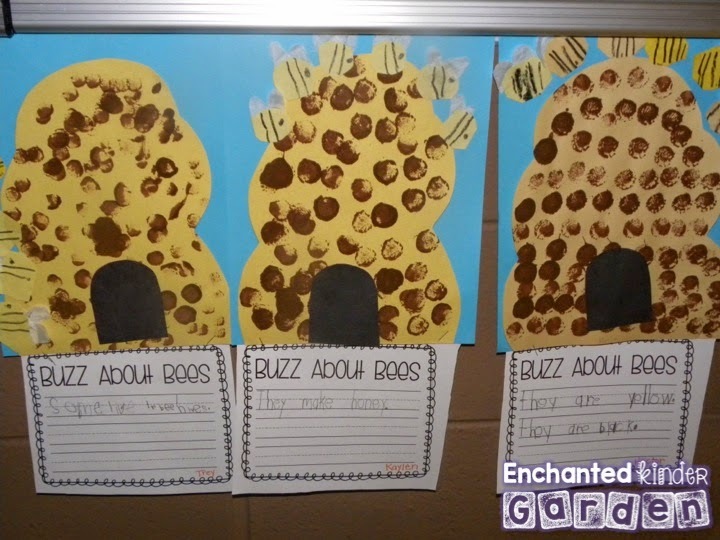 I gave each of them about six pieces of yellow paper and they cut out their own bees. They drew two lines on it to make stripes. For the wings, I cut some coffee filters and they added those to the back of the bees. I freehanded the hives and the doors to save on time. 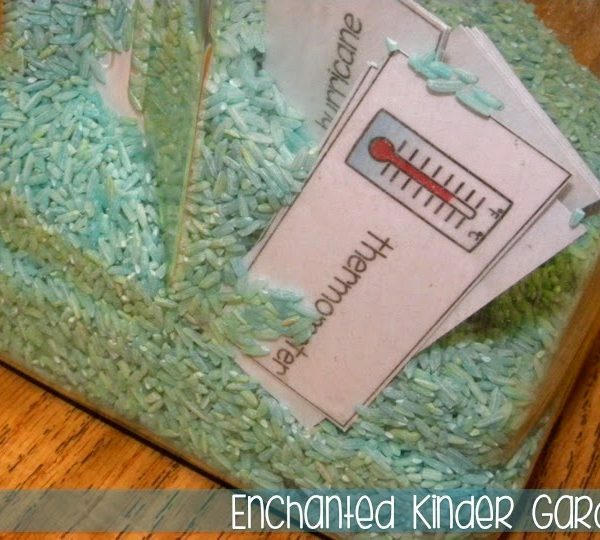 Another SUPER easy craft that has tons of meaning to go along with what they worked on. I heard a crowd of “NOOOOOOOOOOOOOOOOOO”s. I laughed. They all went home that night and said, “Ms. 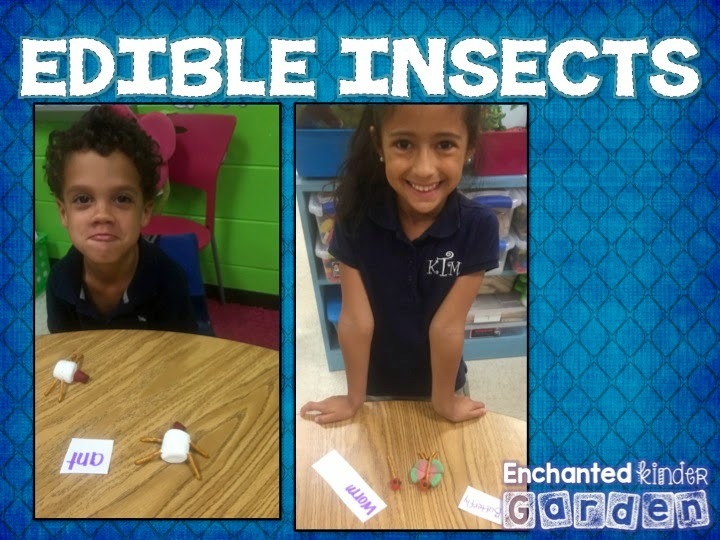 Brown is going to make us eat REAL insects tomorrow.” “I don’t want to go to school. I don’t want to eat a butterfly.” And so on. When they got to school the next day, the first thing I did was take them to the restroom. I said, “We’ve got to hurry up and make our insects.” I got some hot water and poured it in those clear glasses. They thought we were cooking the insects. 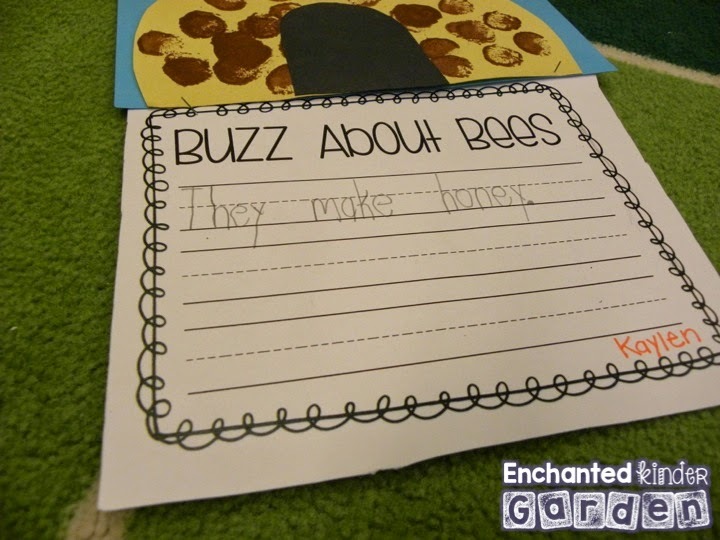 I then went around the room and asked what insect they wanted to eat. None of them wanted to tell me an insect. So, I said, “Okay. I’ll choose what insect you’ll be eating.” They all starting screaming at once. Well not all of them. The boys. The girls sat quietly. I had some tell me ants. Most told me ants. Then, someone mentioned a fly. I got back around to the last girl who had a horrified look on her face. I asked her what she wanted to eat. I LOST IT. I laughed SO hard. Then, I jumped up and said, “you ready?” They all screamed again. I finally told them that we aren’t eating REAL insects. We’re making them with all those goodies you’ve been bringing in. I told them the cups were for dying eggs. One of my sweetest boys said, “That wasn’t very nice of you to do that to us.” Whoopsie. Sorry!!! Some of these were really creative. They did a great job. Here’s a few OTHER things we’ve been up to. 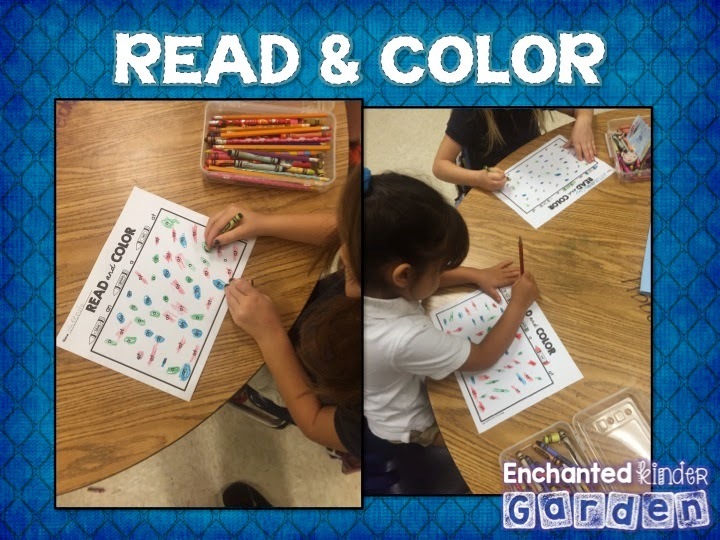 We worked on these super fun and quick Sight Word Read and Color sheets. I didn’t even have to tell them what to do. 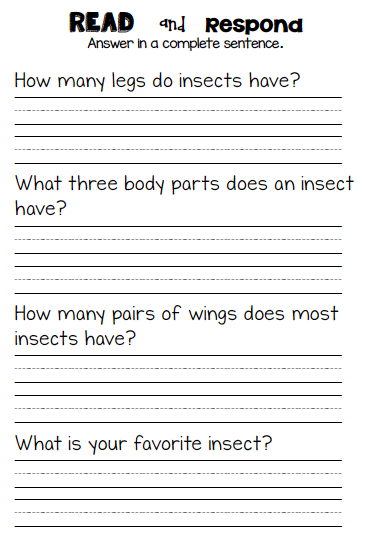 This is a great independent practice sheet for my class. I’m using more of these next week as well. These would be great if you have a lot of early finishers. 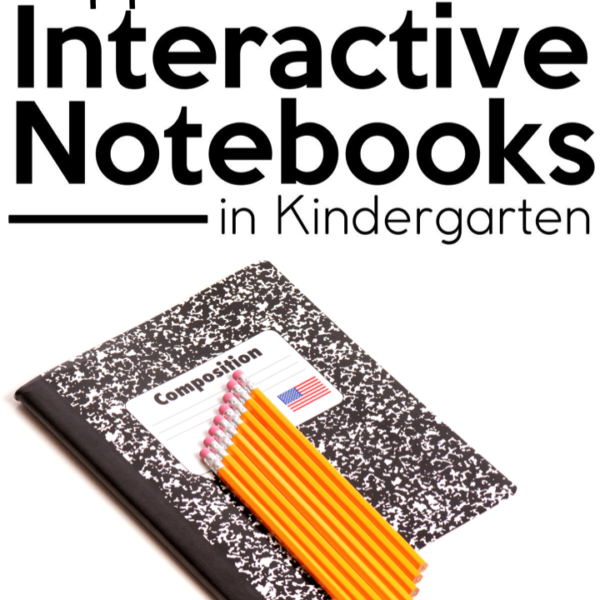 Click here to check these out from Sparking in Second Grade. 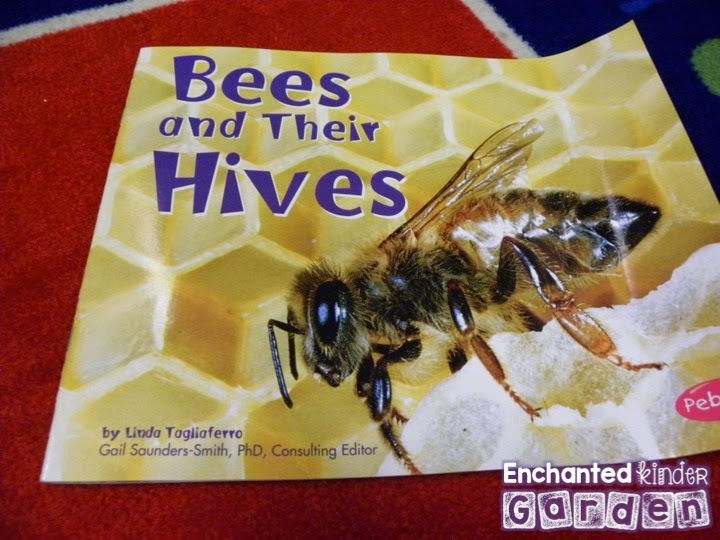 We also read one of my favorite series of books for Easter. The Biggest _______ ever. There’s the one for Halloween, Christmas, Snowmen, and Easter. 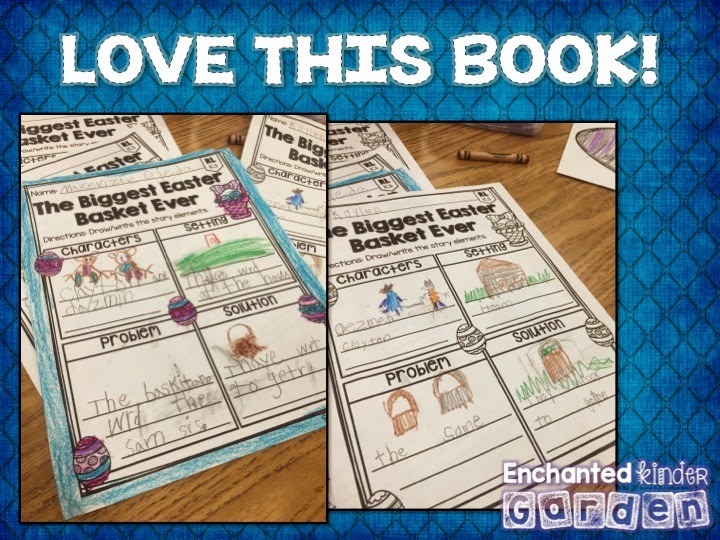 We responded to the book, The Biggest Easter Basket Ever. I love this book as I’ve already said. My kids loved it. Some of them really got into it and explained why the solution and the problem happened. It made my teacher heart really happy. That’s pretty much what we’ve been up to for the last TWO weeks. I’m on spring break and LOVING every single second of it. I do miss my kiddos, but I’ll see them on Monday. 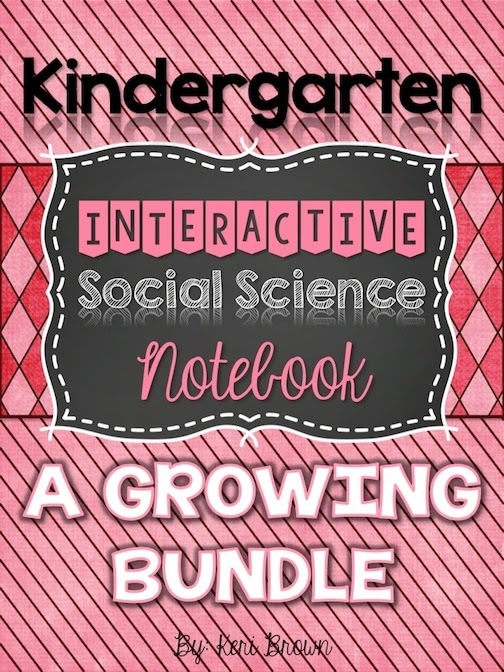 Heads up, if you own any of my Kindergarten INBs they are now available as a growing bundle. If you’d like to buy in to the bundle, send me an email at brownk1125@gmail.com. It currently has FOUR available packets included. It is on sale (marked down) until I add the next resource which should be coming with the next week or so. After that, it will be priced to match the coming units. 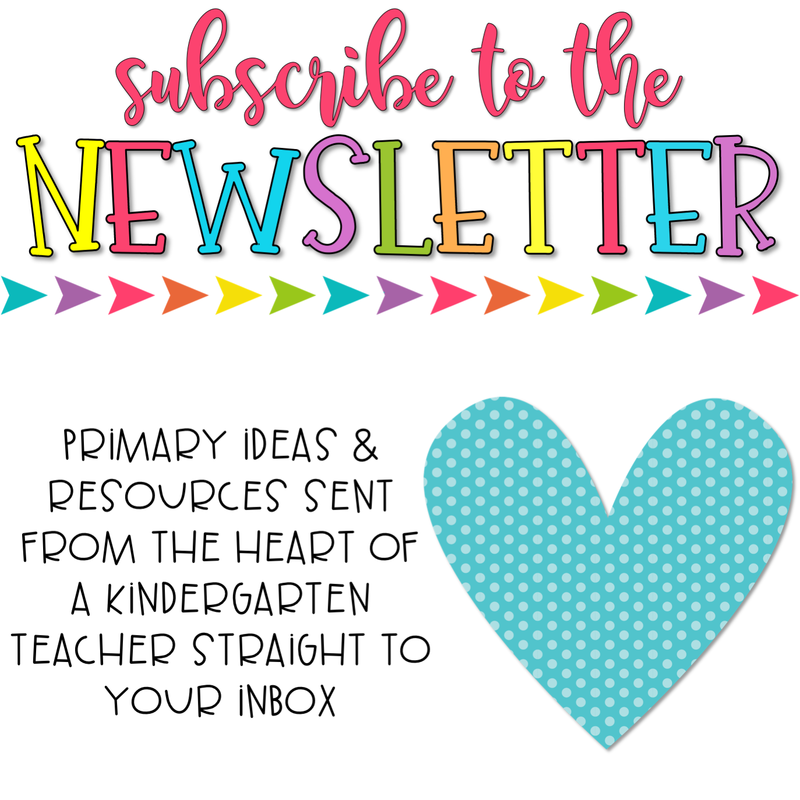 If you have any suggestions on a theme that you’d like to see added – just let me know! Also, if you own the Seasons and Weather INB, it was updated last night to include clouds and a few more weather tools. Go redownload to get the revision. That’s it! Have an awesome HUMP DAY! 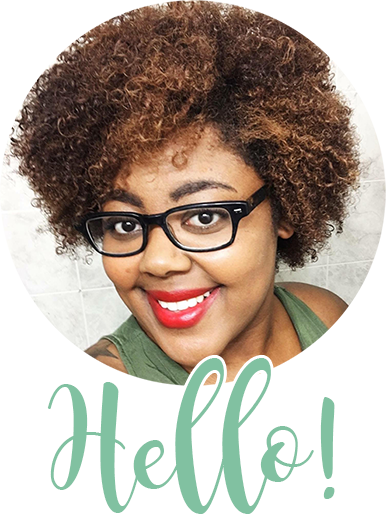 next post: That’s a Wrap Fun and Free Hop! Second of all, this post alone is amazing. 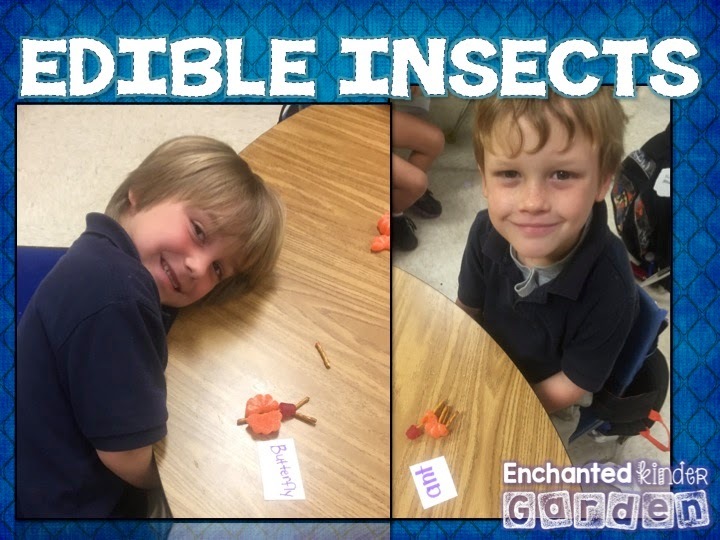 I LOVE the edible insect! When I student taught in 4th grade last year we made edible flowers and they loved it. So, it doesn't matter WHAT the age, using food is VERY effective! 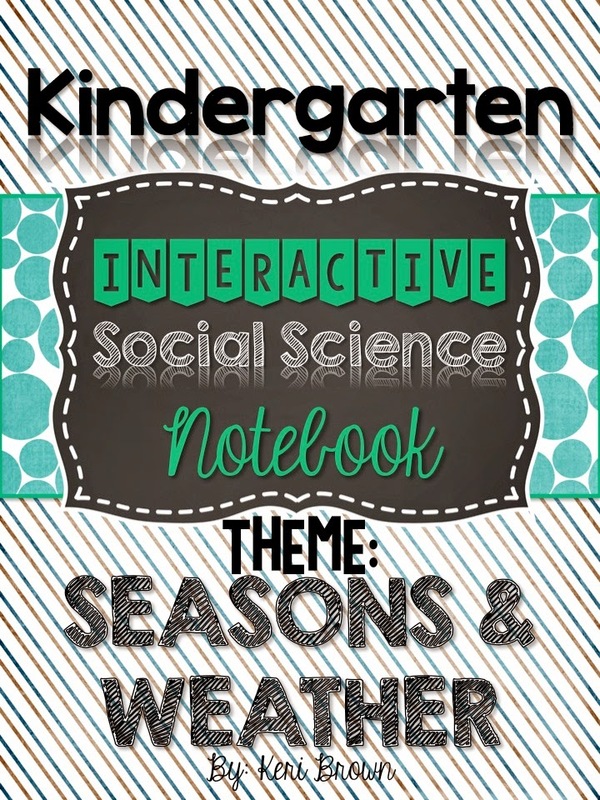 I also wanted to thank you for sharing your Teacher Binder on TPT. I purchased it last night. The chevron design and the colors were hard to deny. Thanks for taking the time to create it!